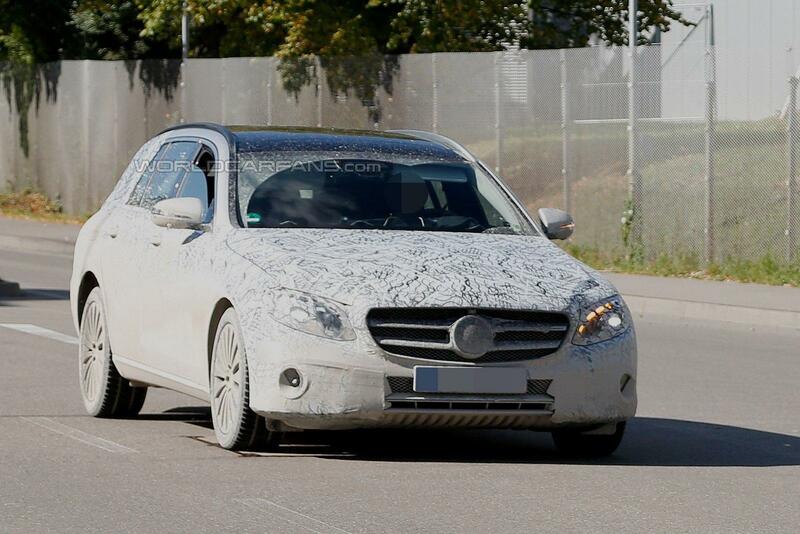 The 2017 E-Class Estate from Mercedes has been snapshot during its testing in Germany. The heavily camouflaged prototype was all dirty in mud. It has received sweptback headlamps, a two-bar grille and a mildly sloping roof. The offering also features wraparound taillights, a tailgate spoiler and a beautiful dual exhaust set-up. It was impossible to take pictures of the interior. We suppose that it will remind of the sedan. Therefore, expect an interior inspired by S-Class. In such a case it can have a large infotainment display, a flowing dashboard and circular air vents. All the details are still enveloped in mystery. We know that the offering will be equipped with the MRA platform. Thankfully to it the 2017 E-Class Estate will be lighter than the previous model. The sedan will lose 154-330 lbs, so, similar weight lost can be expected on the wagon. Likely, the usual engine options will be offered. Already familiar V4, V6 and V8 units should be expected.